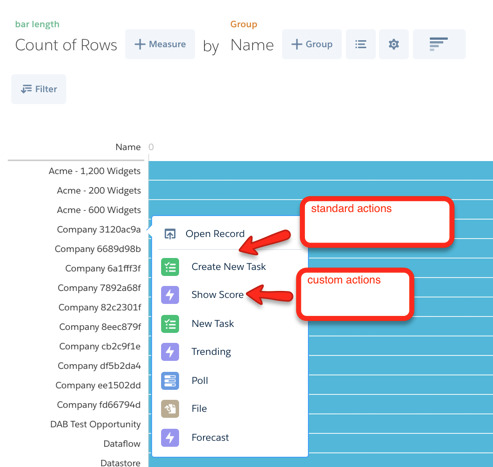 Spring 16 Release introduces more custom actions for Salesforce Analytics cloud! This is a distinct feature that enables users to drive action when looking at patterns/exceptions in data. Steps to enable custom actions. Assign actions to Salesforce 1 actions or Global action. 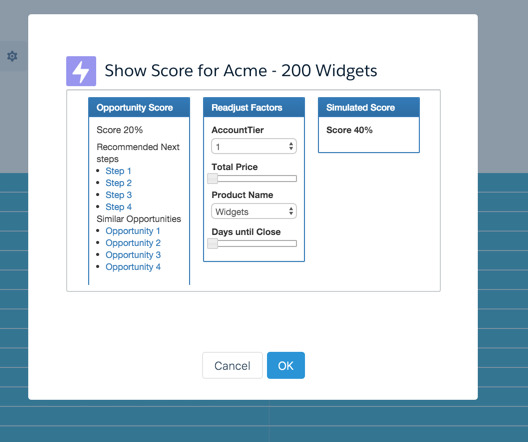 This could be the standard or custom actions using Visualforce pages. Custom Actions are now enabled in both exploration and Dashboard view. Since we can use visualforce pages as custom actions. We can even embed wave dashboard within actions! e.g. When we review an account, we want to look at the forecast.